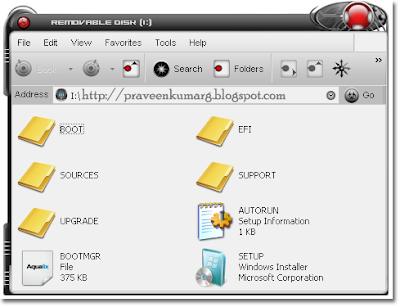 WinToFlash is a software for transfer your Windows XP, Windows 2003, Windows Vista, Windows 2008, Windows 7 setup from CD or DVD to flash in some mouse clicks. All you need to do is run the program, set the location of the Windows 7 installation disc and the destination of your USB flash drive. Before you start, make sure you have at least a 4GB USB flash drive. Windows 7 installation files takes up around 3GB of space. 3. 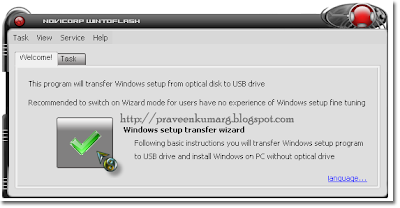 Click the big check button to start Windows setup transfer wizard. 5. Specify the locations of Windows files and USB drive then click Next. The Windows files path if the drive letter of your DVD drive and the USB drive is the drive letter of your USB flash drive. 7. 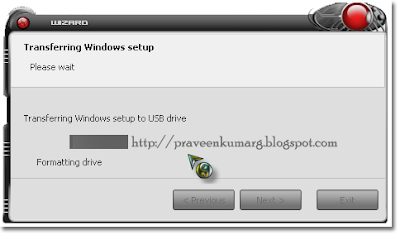 Click OK to start formatting your USB flash drive and the files will be automatically transferred from your Windows 7 install disc to your USB flash drive. 8. Click Next when finished copying and boot up the computer with USB flash drive. You will need to go into your BIOS(Press DEL key or F2 to enter Bios Mode) and make sure it is set to boot from flash devices. If you got it right, the Windows 7 installation should load from your USB flash drive. When your computer reboot after updating files, remove the pendrive otherwise the whole setup will run again. 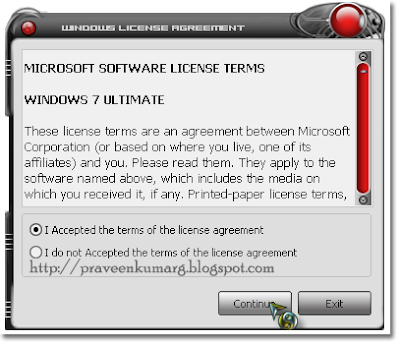 Installing windows 7 through pendrive will take about 20-25 minutes only….So enjoy installing Windows 7 from USB!!! Can I use this method for Other windows ?